Thanks, I love them, too, and will have to force myself to give them away! 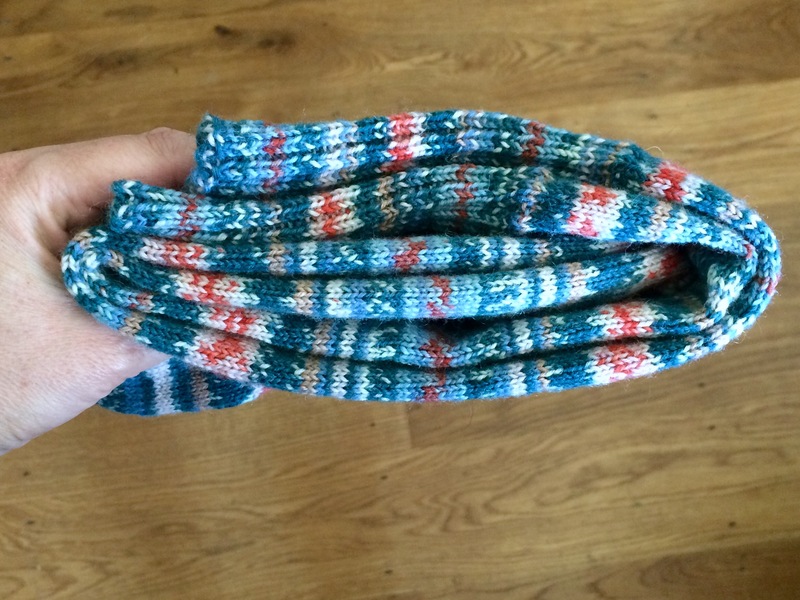 Socks are a lot easier than you think they’re going to be, so give them a go! I’m making a few more pairs of knee-highs as gifts and they take about 3-4 weeks each (evenings only), so I need to start early for Christmas. Thank you, but they look more impressive than the skill level might suggest. 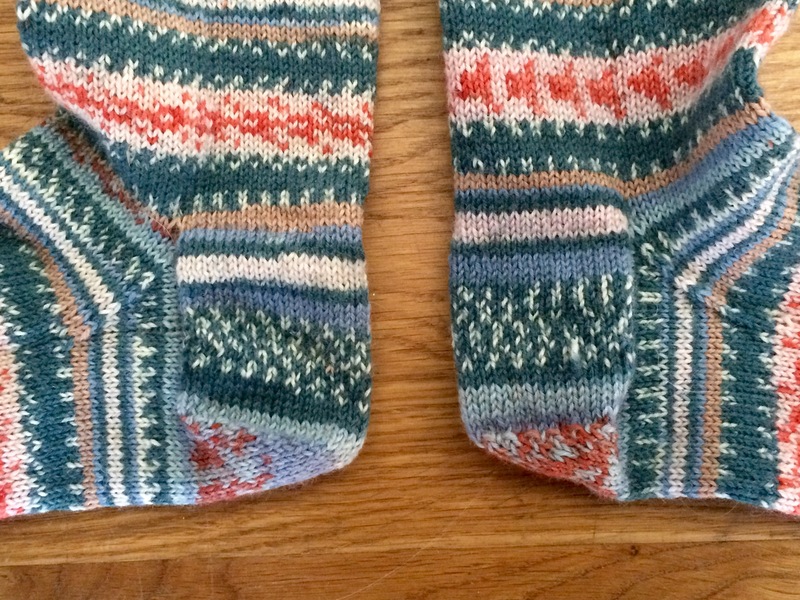 Have you tried YouTube for sock knitting techniques? When I first started I found them invaluable as books cant get information across in the same way. They look spectacular! You were using circular needles. DPN’s are the 4 short sticks. I can’t use them at all. 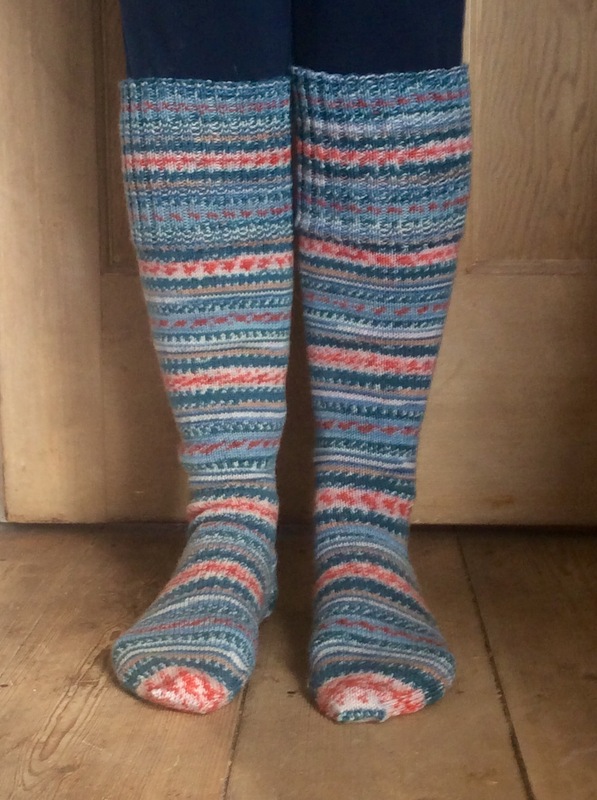 Every time I drool over a pair of knitted socks I swear I will make a pair if it kills me!! Sorry I haven’t been around much.. my mom passed a week and a couple days ago. I feel like I am breaking but I am trudging along. 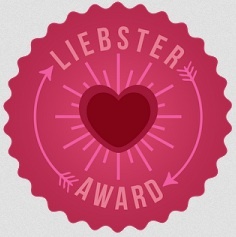 Love to you and your lovely family! I am envious. 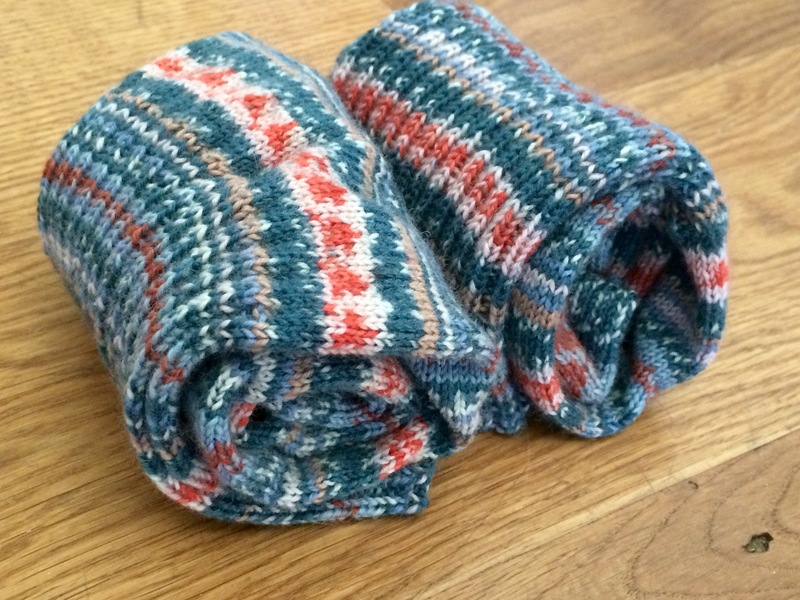 The socks are beautiful and someone will love them this Christmas. 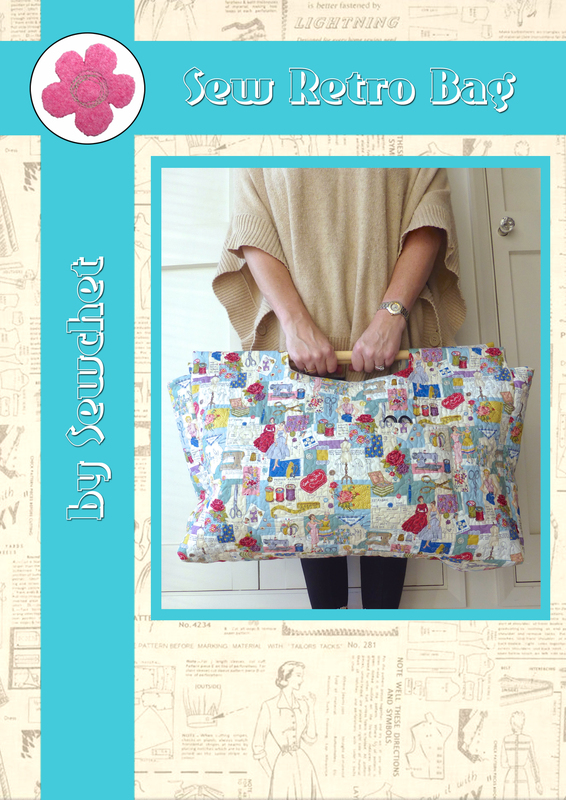 I learned to knit in Girl Scouts years ago and then turned to sewing and quilting. You make me want to learn all over again. Thanks for sharing. 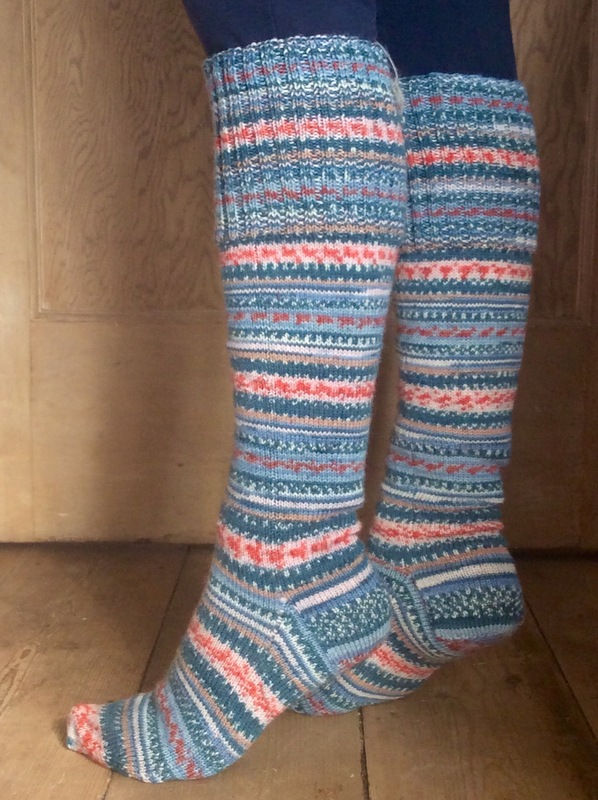 Thanks Anne, I was part way through them when a couple of people admired them saying that they’d love a pair, too, so the plan is to make a few more pairs yet! 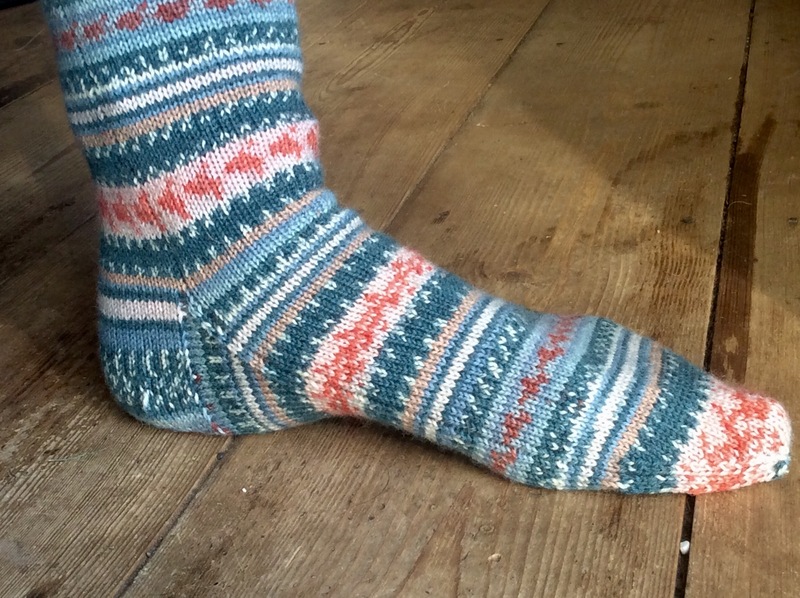 I learnt to knit over forty years ago but only mastered socks a couple of years ago. It didn’t take long to get the hang of it and they’re a nice project to have on the go. 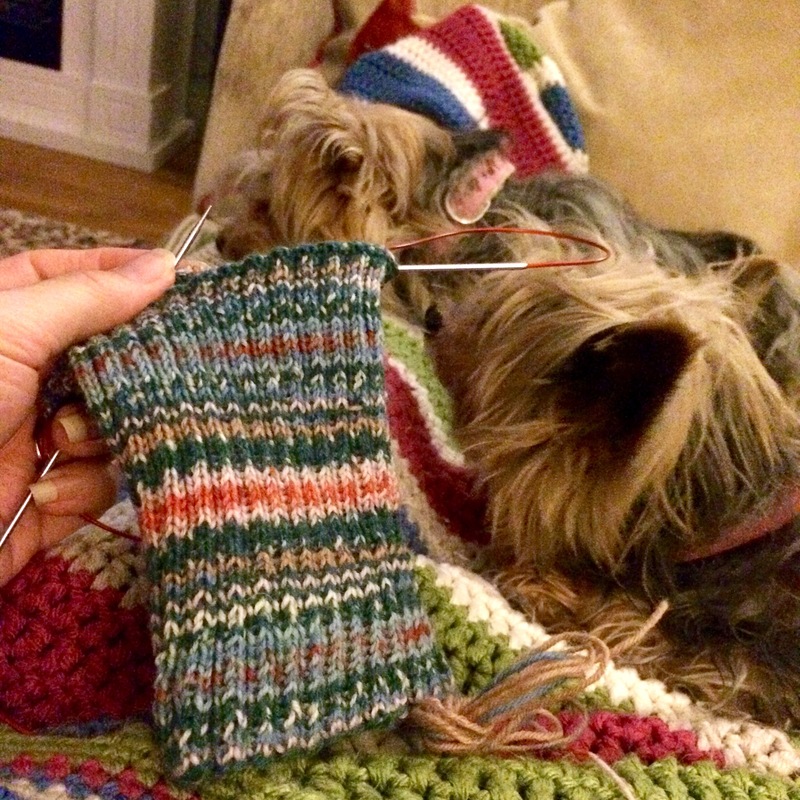 I have to agree – crocheted socks aren’t nearly as nice as knitted ones. Knitted stitches are so much finer and that’s the difference I think. It does feel good to have a Christmas present in the bag already! Wowsa you’re on your game! I haven’t even finished the first hand-made birthday present I’m making this year! Well, I can think of at least four people who would actually appreciate hand knitted socks so I’ll get those out of the way as soon as I can. Hopefully I’ll have more time to plan other handmade goodies then. Not only are the socks super impressive, but so is the fact that you have one Christmas present in the Santa Sack already. I have still to knit a pair of socks, some how they seem so scary! 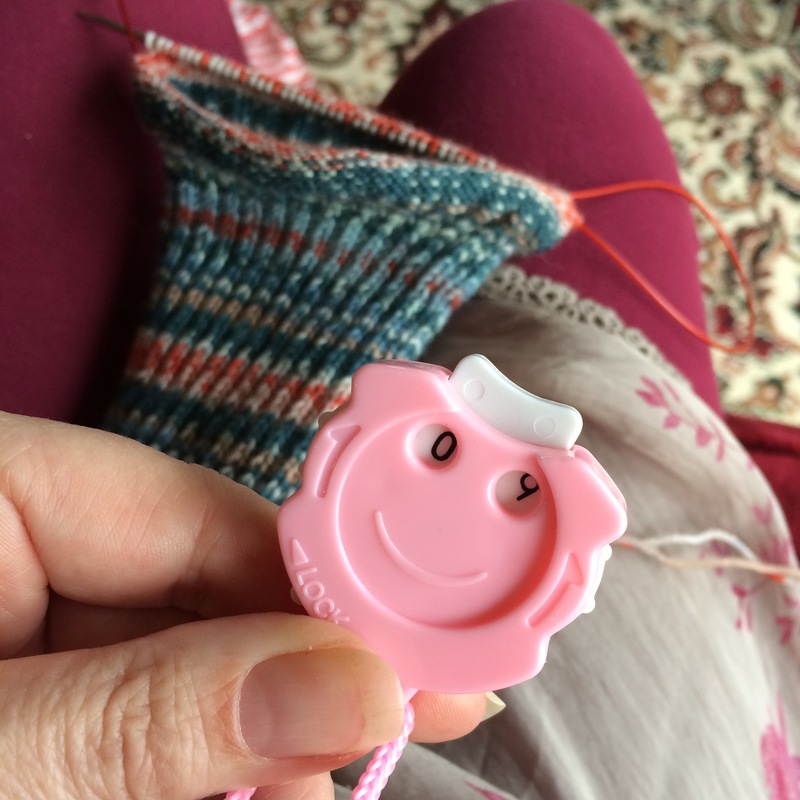 YouTube is invaluable for sock technique – give it a go! A pressie in the bag already is a very good thing as I always run out of time nearer Christmas and never get time to make Christmassy things for the table and non-essential-but-pretty stuff. 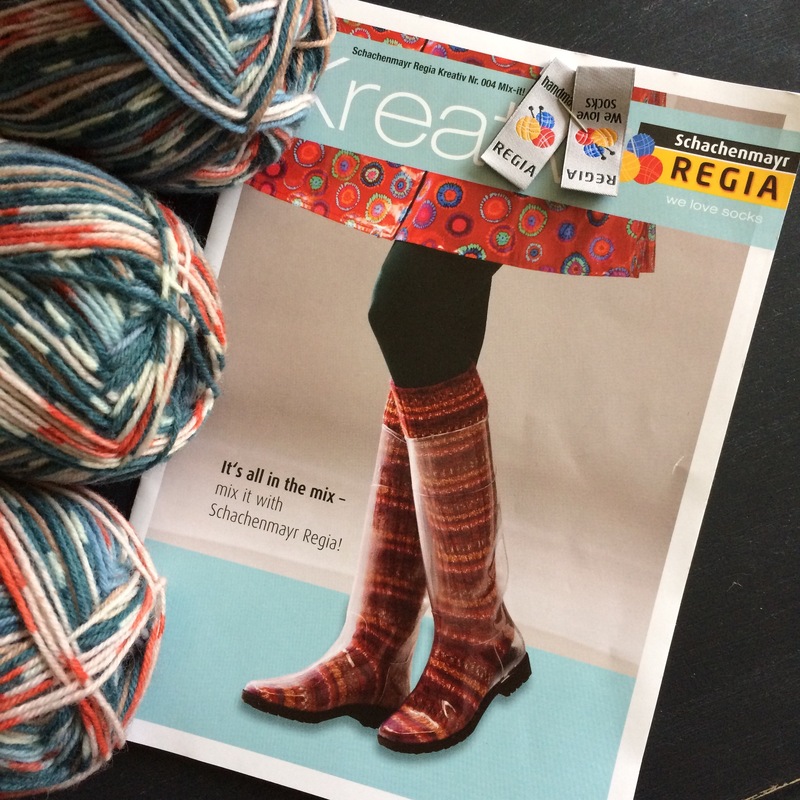 These look amazing Sheila – I’ve use Regina twice now for socks and each time I couldn’t get over how the almost fair isle looking pattern comes out and how lovely the colours are. 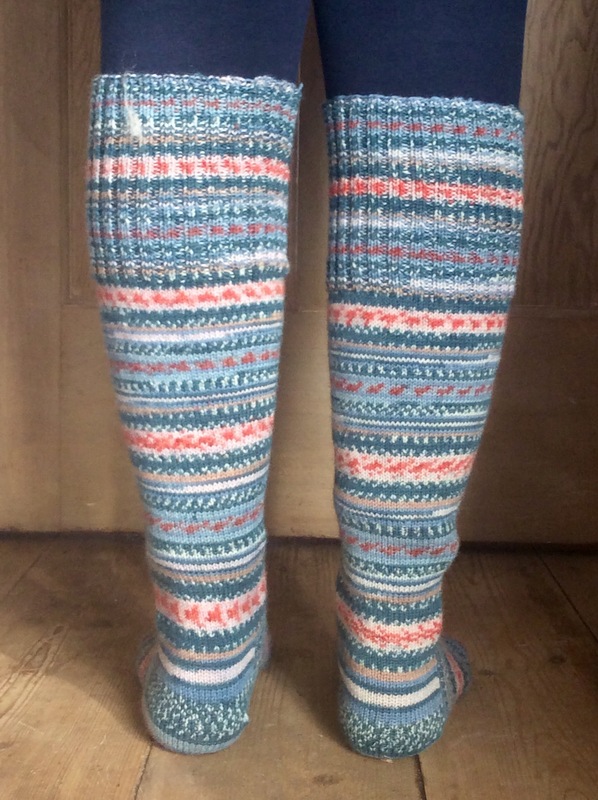 The gorgeousness is even more obvious on your pair as they are knee length and somebody will be very chuffed to receive them at Christmas. 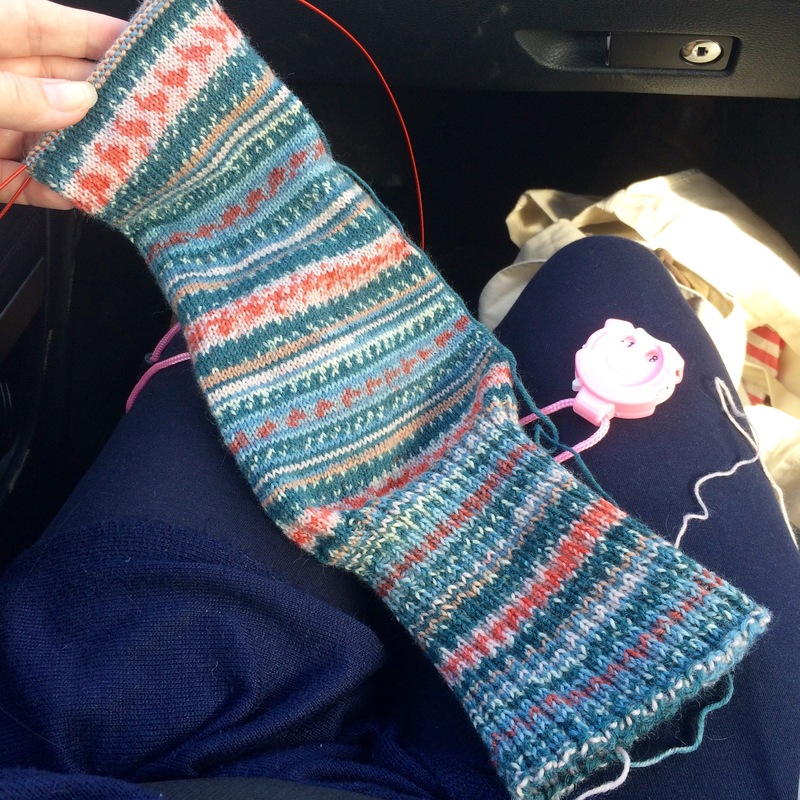 I think I used DPNs once to make some fingerless gloves but I don’t like them so I always use a circular needle for socks and knit them two at a time as I am prone to single sock syndrome. 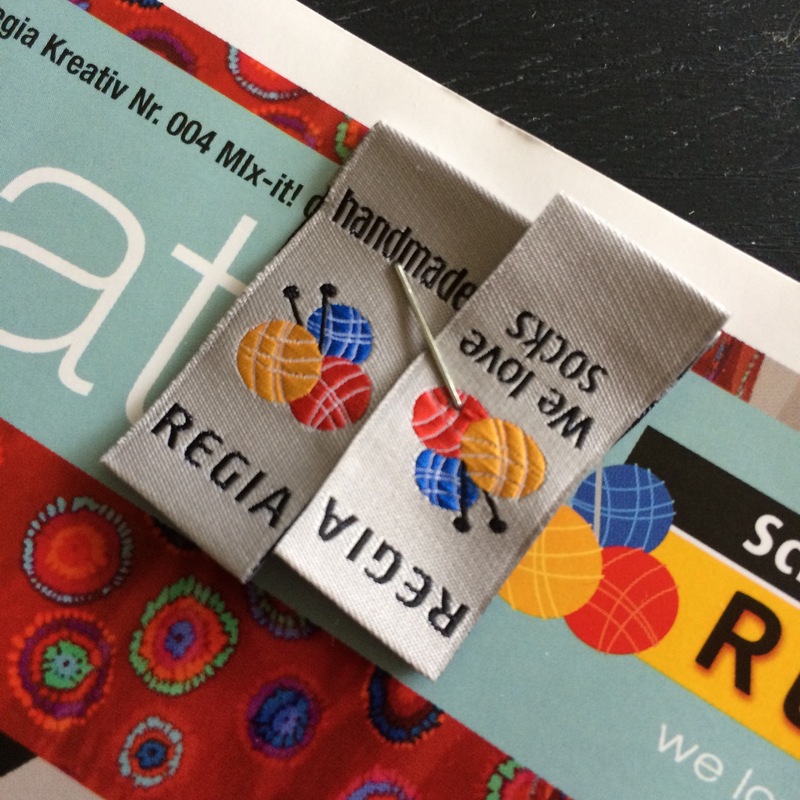 ‘Regia’ – damn you iPad auto correct ! they look gorgeous! 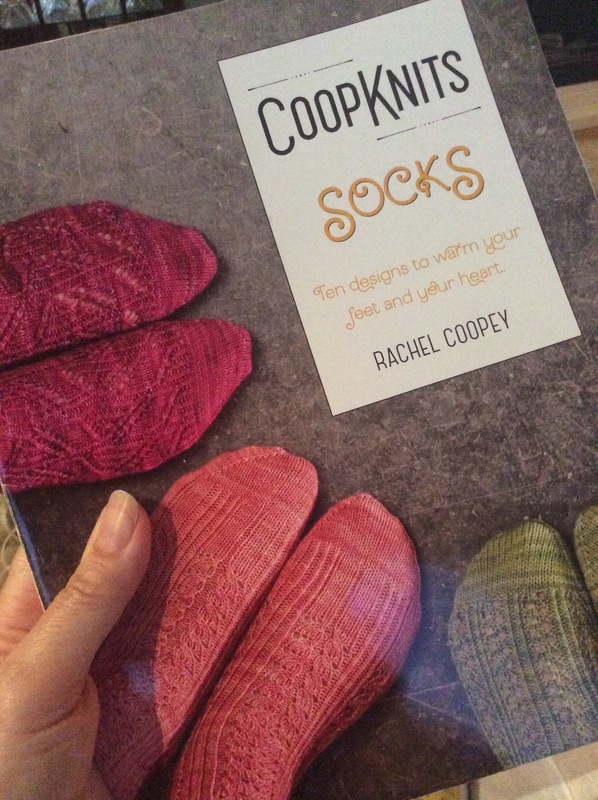 I haven’t tackled socks, but would like to try – yours are inspiring! Well you’ve definitely got them down to a ‘T’, lol! Are you familiar with that saying….? No, not really… I understood it as I made them mine… how near has I come? Those are SO cool! You did an amazing job with the pattern match between the two. You got skillz gurl! 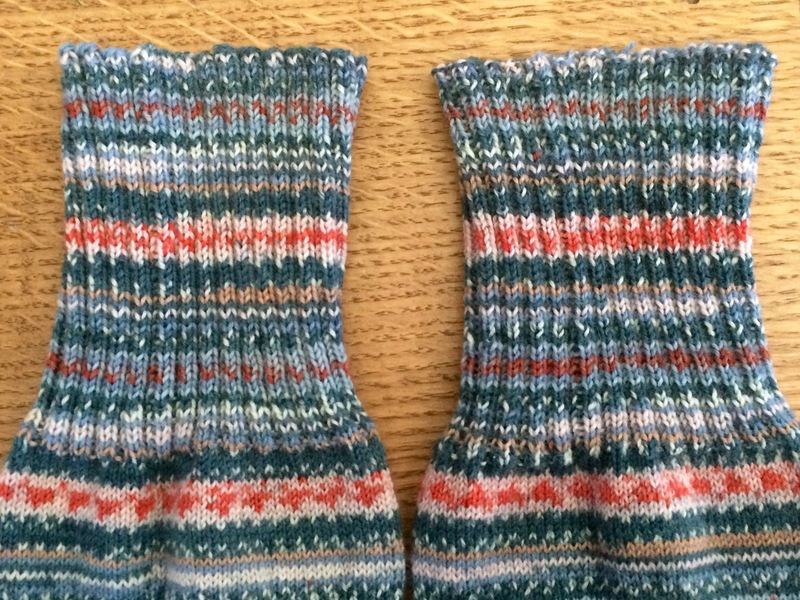 I can’t sit down unless my hands are busy, so it’s not difficult to make a few pairs as presents. 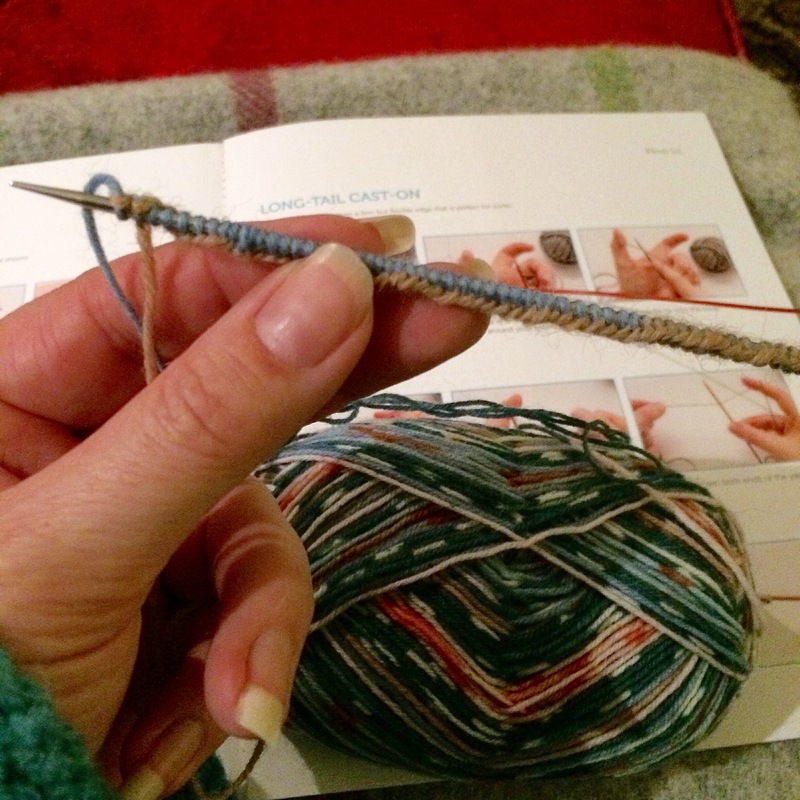 It’s surprising how much you can achieve with an hour knitting each night. Well done on getting your first Christmas present for the year finished. They look absolutely fabulous. Now I want some see through wellies! They’re perfect – I just can’t can’t find anywhere that has them in stock, that’s the trouble. Plenty of images on google, but no one has any stock. How annoying! If I ever spot them anywhere I’ll let you know! Wow, those socks are gorgeous, and you did an amazing job at getting them done so fast. 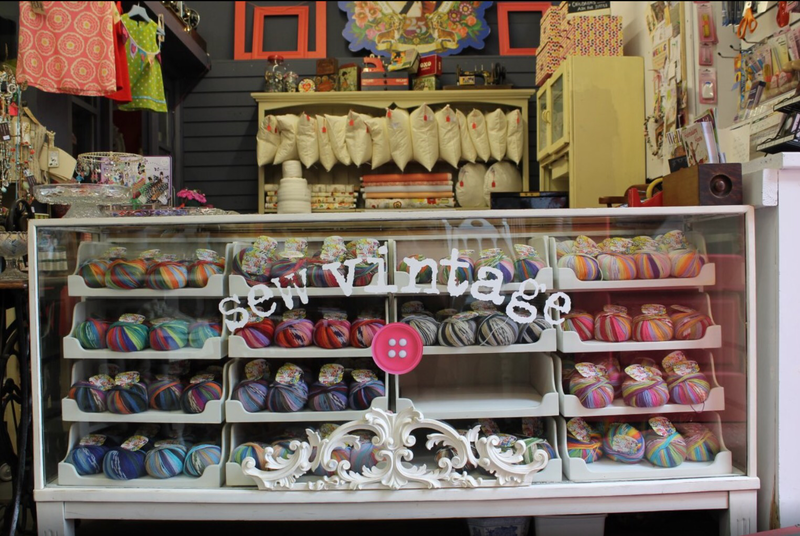 I love the yarn shop, it looks like the perfect place to shop or just look around and spend time enjoying all the loveliness. I’m all for getting the first present completed. 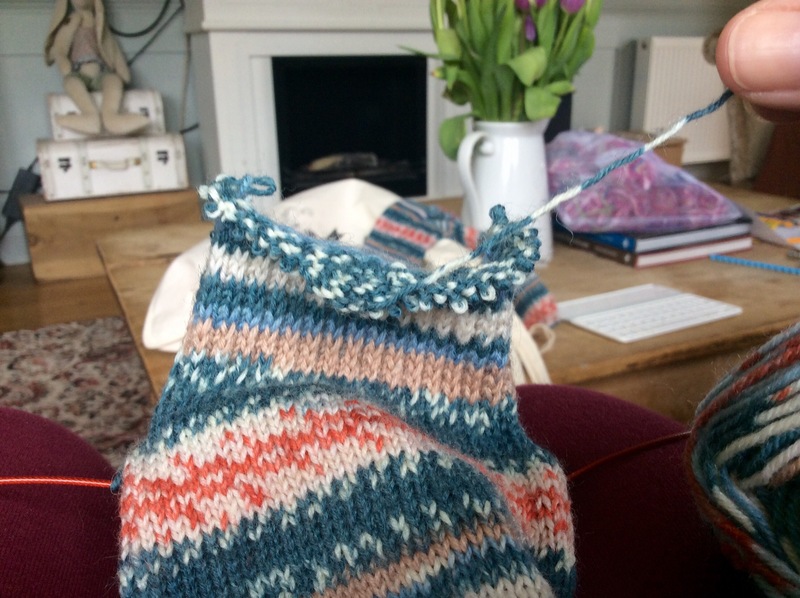 Then you don’t have to spend the whole of the second half of the year just knitting for other people! 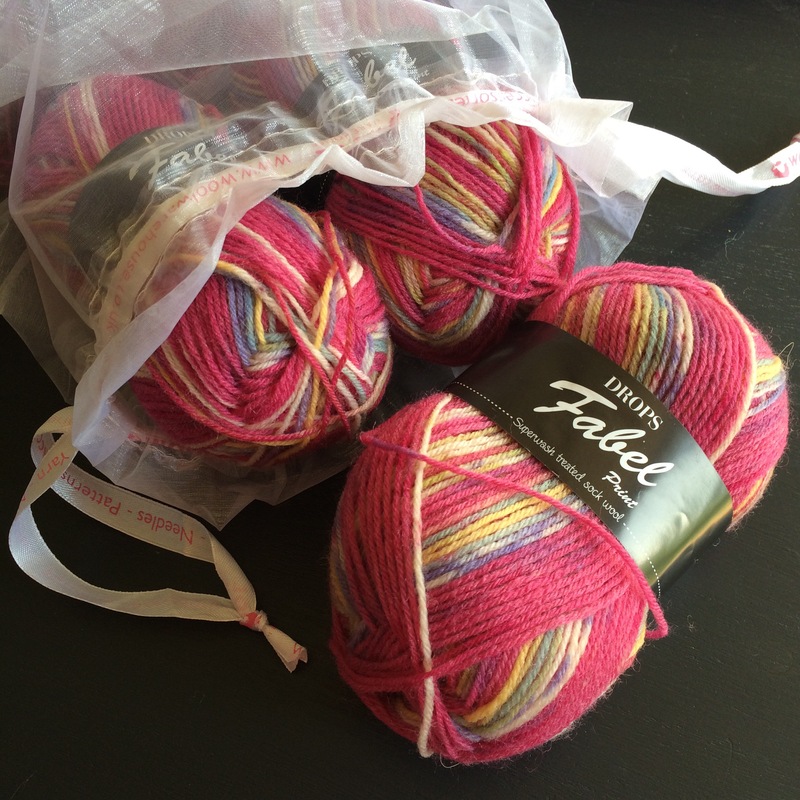 It is really beautiful yarn! Fabulous. And I want some of those clear welly boots !!! What fun they would be ! You make it look so easy, Sheila. How nice to have a Christmas gift ready to go in April. I’m impressed. After the initial ‘wince’ at the mention of Christmas (in April for goodness sake!!!) 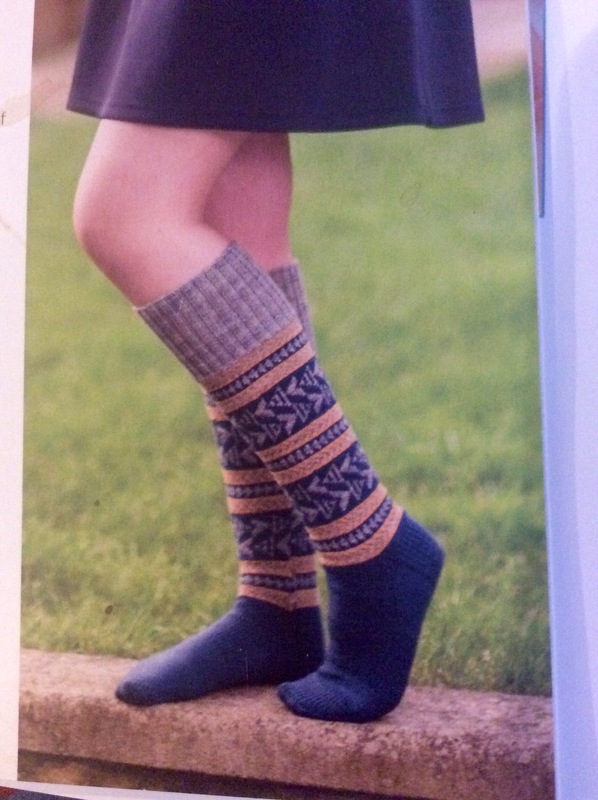 I have to agree that your socks are gorgeous, and anyone would be proud to be considered worth knitting for. 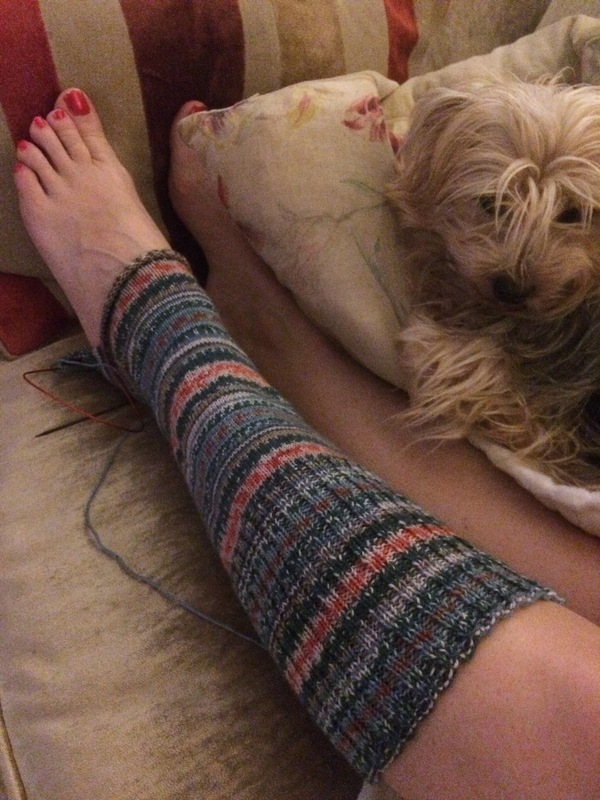 I have used the other yarn (Drops Fabel) and found it works nicely and is fairly hard wearing.